The Aragonese castle of Aversa (Via S. Maria a Piazza, 74) was built in 1492 by Alfonso D'Aragona. 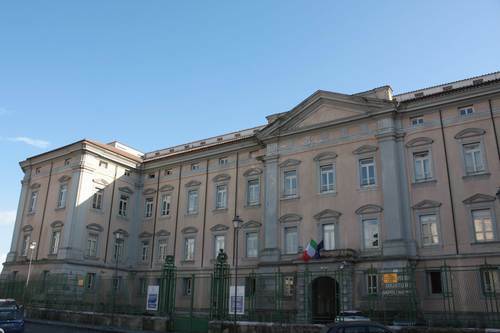 Completed by the Bourbon architects in the 18th century (from 1739 to 1750), the castle hosted a cavalry barrack until the beginning of the 19th century. 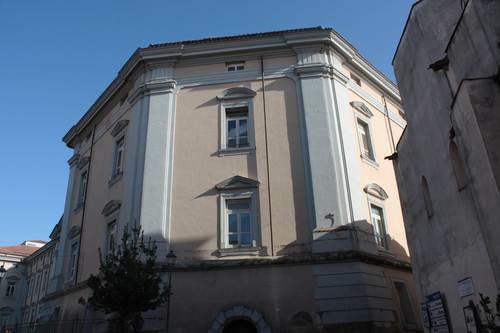 After a long time of dereliction, in 1931 the building was brought back to glory by the psychiatrist Filippo Saporito who restored it to expand the near Old "Manicomio Giudiziario di Aversa" that was named after him. 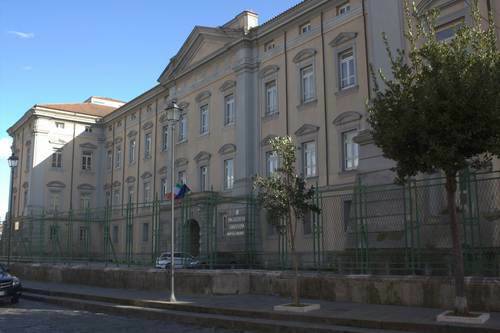 Following division from the psychiatric prison and the earthquakes in 1980 and 1984, in the 90's the old castle became the headquarters of the Penitentiary Police School and then the location of the Court of Northern Naples. - Giosi Amirante, Aversa. Dalle origini al Settecento, Edizioni Scientifiche Italiane, 1998, pp. 63-70.